Royal Bermuda Regiment divers are to join forces with an environmental watchdog to help protect the Island’s reef system. 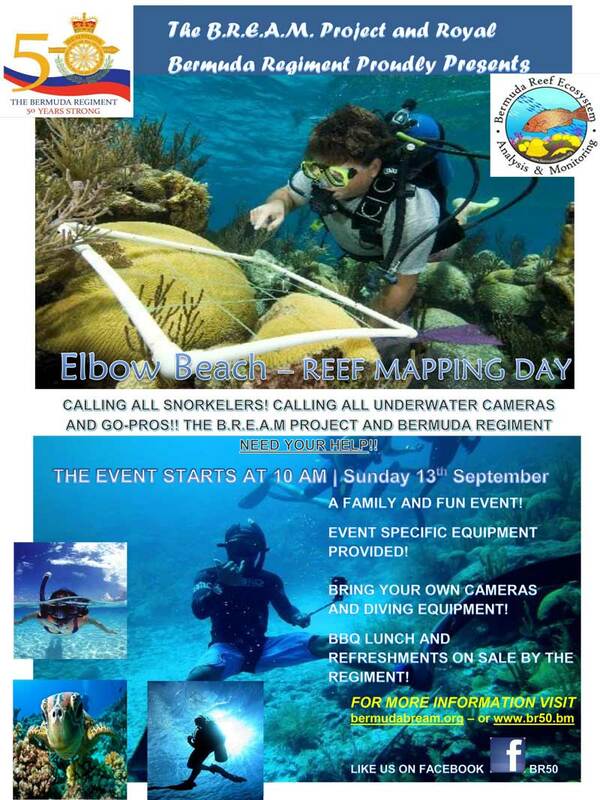 And the Regiment and the Bermuda Reef Ecosystem Analysis and Monitoring Programme [BREAM] appealed for volunteer divers and snorkelers to join them in a major reef mapping programme at Elbow Beach in Paget on Sunday. The Regiment’s Lieutenant Gordon Emmerson said that event-specific equipment would be provided, but that volunteers should bring their own snorkel or diving gear and underwater cameras. The reef mapping day runs from 10am to 4pm on Sunday. For more information visit here. I would have been there but a single days notice isn’t enough. « A.M. Best Affirms Ratings Of Watford Re Ltd.